The S650 Smart Grid Terminal (SGT) current transformer connected type is the perfect fit to equip medium-voltage and low-voltage (MV/LV) transformer stations covering losses computing, energy profile analysis, protection and optimization of equipment, power quality monitoring, and remote equipment monitoring and control. The losses calculation is computed between consumers and the S650 SGT according to MID or local approved standards. Covering most of the energy calculation use cases, the S650 records active and reactive energy consumptions according to tariffs, energy analysis, etc. Key RMS one second instantaneous values (UL-N, UL-L, I, In, P, Q, cosΦ, PF, THD, Unbalance voltage and current, etc.) are monitored for remote reading or records average values in load profiles for network and transformer analysis, losses optimization, load rebalancing and harmonics issues. Most power quality events (over- / under-voltages, power failures) are logged in a dedicated event log with number of events, i.e., timestamps, duration, magnitude and phase, allowing an easy calculation of SAIDI (System Average Interruption Duration Index) parameters. Up to 30 events can be recorded for over-/under-voltages and power failures each. Moreover, the S650 SGT addresses specific needs for remote equipment monitoring in the transformer station to remotely prevent or inform about any potentially serious damages or to optimize operations. 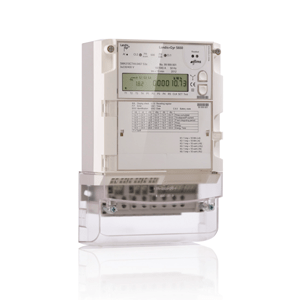 The direct connected S650 is well adapted for street light applications due to an embedded astronomical clock and powerful automatism features that combine robust metering features and advanced communication capabilities.